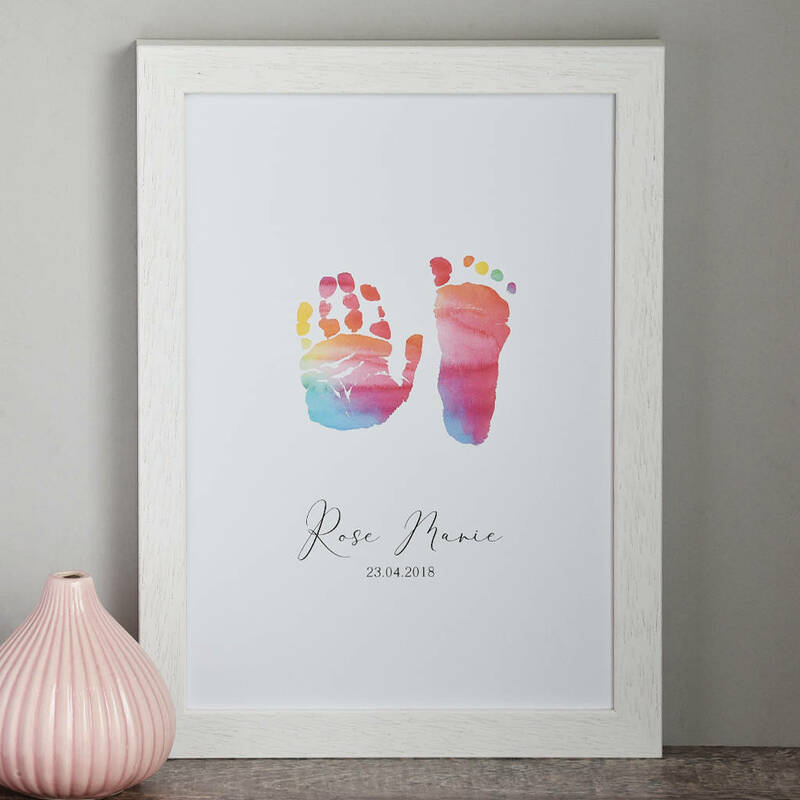 A beautiful personalised print, featuring your little one's handprint and footprint in a choice of colour. A perfect gift for mum. Each unique print captures your baby's hand and footprint, together with their name & date of birth. Available in three watercolour effect colours - choose from pink, blue or rainbow. A gorgeous memento of their tiny hands and feet, this beautiful print is available with or without a frame.